in the footprints of the beloved Master of us all. to minister THE GOSPEL OF JESUS CHRIST. into the world of Christ. the Lord opened up unto her the Word within and without. of family realized her predestinated life in the ministry. taught her what no human knowledge could teach. many things for His name sake. and not the bidding of mankind. a heart molded and shaped by Jesus. with whether saint of sinner. holding church services on 2nd Street around the 1970's. was a membership little under 100). and then became a Church building for Christ. in one night of an increase of at least 16 people. of this proof 18 years ago. She also had 4 years of prison ministry in Junction City. She did this happily, and helped to bring many souls to Jesus. She replied that she found being a woman no real hindrance. important way women ministered in the early church. Their labors were acknowledged by no less a man than the apostle Paul. such as her own, being a pulpit (as missionaries-but not pastors). She loved the ministry of Christ as she carried for His names sake. and the people I minister to are important. even with all the churches in Newark. and John the Beloved, both done in the year of 1976.
and in Springfield Ohio ( beginning early around 1978). over hundreds of books donated by Pastor to the church library. one of many works done by God. the Glory of the '777'. 'How can you render unto God- still seeing Caesar? Look through the single eye of God and see the beloved Son Jesus. The Lord told them to render the money unto them. Now let God know that you can see the beloved Son through it all! will never forget the love of God, Christ has left behind in our hearts. Everything else she did, she did unto Him and through Him and by Him. the Mayflower addition, she built for Him a sanctuary room. God told her, you feed my people, you don't bleed them and this she did. because Christ who was preeminent in her life, did a work through her soul. works by the Holy Spirit were done in and through her life By Christ. shopoholic, known to the world spending what they did not have. pay for it right away. This alone is a miracle work by the Holy Spirit. of the Holy Spirit. Jesus said, You will know them by the fruits they bear. that He gave her to share with each and everyone of us. to Forgive our pastor for sins that she had in her life while she was pastoring. lived Holy unto the Father God Daily. to know a God thatcould love like that. Two more visions had a great impact on her life. 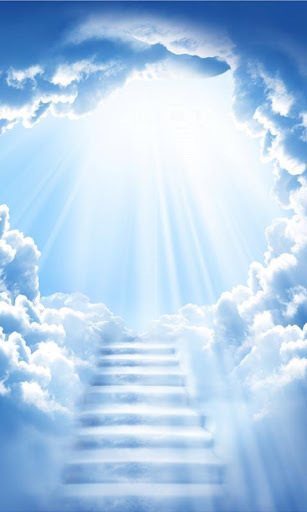 the complete heaven with four chariots in all four corners of heaven. she said. I circled the house two or three times as it remained. here in America the Lord has His Jerusalem. God is here, she said. I was going with the Lord, but then He went back up, she said. He gave me to know that is was not my time yet. But He will come for me, and I will go with Him when the time comes. This was an article written in The Advocate of March 5, 1976. The visitations of Christ to her were too numerous to record in this article. Tim (of Hanover,Ohio) and Kirk (of Pataskala,Ohio) Journey. together by the love of God. We glory in the Lord of a miracle life that He gave to her. Praise be to God for evermore, Amen! for no longer will I be suffering up on the earth. 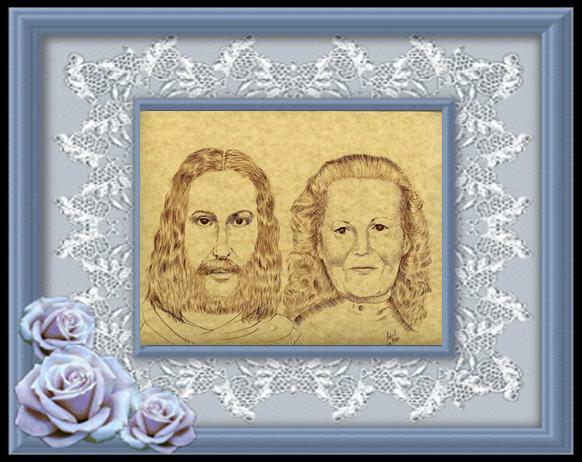 for He took her home on July 12, 1991.
with everything being given to us from Jesus and Pastor Jo Vah. while upon the earth, the WORD OF GOD IS ETERNAL. in and through Christ in her soul. and through one's life in such a shot time. and your endurance inspired by hope in our Lord Jesus Christ. I lift up my eye to the hill- where does my help come from? the sun will not harm you be day, nor the moon by night. and through Pastor Jo Vah back in the 1960's in Pataskala, Ohio. JESUS was with her and He is enough! 57-59 E. Main St in Newark, Ohio, (known to us now as the Love Building). they came together and agreed to rent the building to her in the early 1970's. and there was much that was needed to be done but as always God supplied. in the Columbus, Ohio until several years ago. we still gather for Services two times a week in the Name of the Lord! Thursday Evening Bible Study and Sunday School Service. to hold services in the Columbus, Ohio area on Midland Ave.
the Ministry of Christ that He had given her to carry for Him. to be with Him on July 12, 1991, they were all paid for in full. buildings but the Ministry of Christ that they carried for Him! is our home and in this world we are just passing through. the Ministry of Christ that God placed in her soul for Him. He poured in and through her soul by the Precious Holy Spirit of Christ! are Eternal and will never loose their power! On a recent update the building in Columbus, OH on Midland Ave.
prepare to build a new Sanctuary in the Pataskala, Ohio area, for Christ.